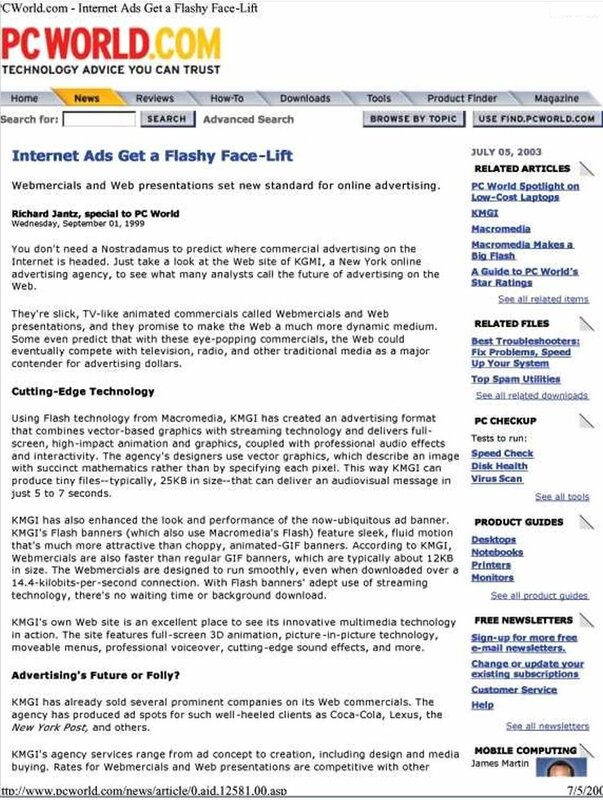 Internet Ads Get a Flashy Face-Lift. Webmercials and Web Presentations set new standard for online advertising. Marketers Hunt for Ways to Score Attention Online. 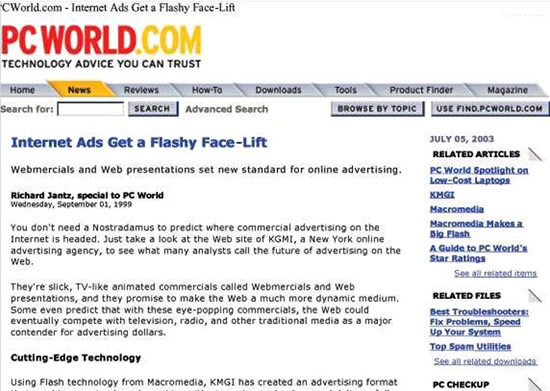 "Webmercials and Web Presentations" set new standard for online advertising. The Internet's Future is Now.